Do Los Angeles Process Servers Need To Say You’ve Been Served? Should Los Angeles Process Servers Say You’ve Been Served? Should legal messengers state “you’ve been served” or shouldn’t they? 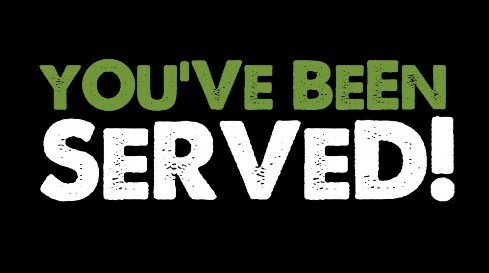 Is there any sort of real explanation to say “you’ve been served”? Just what purpose does mentioning you’ve been served hold? As a process server, declarations that agitate and intensify situations like “hello mister, you’ve been served” will agitate servees and possibly bring on moments of violence. There is no reason to pester people when the job as a process server is the dignified hand delivery of legal documents, not spoken attacks. If your goal is to become part of arguments with disparaging remarks for demoralization and oneupmanship, then have at it. But for expert process servers, taking such actions detract from what professional process service really is. Being put down with insults is the everyday suffrage of what process servers sustain throughout their daily routine. If you are quickly demoralized and get fired up any time someones shares sharp opinions and berates you, then a career in the process server industry probably isn’t for you. Intimidating people for weak self-serving interests is simply not what polished and professional process servers do. Do we really believe that people being served are going to be rational when the irritation of being called into court is upon them? So exactly how do we perform professional service while avoiding the indignities of typical human behavior and the myriad of feelings that follow being served? Stay in touch with just what the job truly is, the prompt and successful delivery of legal papers and proper background investigations. Nothing more. At JPL Process Service, we serve documents by the law or deliver them as you advise. If asked what they are, we simply state “legal documents”. If the subject persists, then our process servers simply eliminate themselves from the confrontation with a smile and set about their business of finishing your job legitimately and expertly. Our top objective is to assist you get with your circumstance as swiftly and quickly as feasible. Your legal documentation gets delivered on time, every time, and filed with the proper courts to get you on your way and back to your day. Next time you’re in need of a registered Los Angeles process server, give JPL Process Service a phone call at (866) 754-0520. You’ll get friendly help, an exact rate quote for what you need done and instant service if you need same day distribution.